A member of the gang MS-13 was sentenced today to 10 years behind bars for a stabbing a year ago in Leesburg. 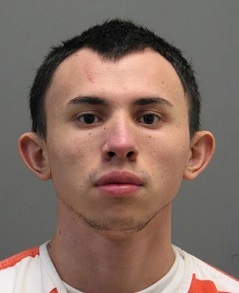 Josue Jeremias Cruz Gonzalez, 20, appeared before the Loudoun County Circuit Court for sentencing on one count of malicious wounding and one count of gang participation. Judge Douglas L. Fleming Jr. imposed ten years in the Virginia Department of Corrections. In November 2015, officers with the Leesburg Police Department and the Northern Virginia Gang Task Force responded to northeast Leesburg for a report of a stabbing. Witnesses told law enforcement that they had seen a young man stumble out of a nearby wooded area before falling to the ground in the common area of the apartment complex. The victim was transported to a local hospital with life-threatening injuries. Once medically stable, the victim told detectives that he had been standing in the parking lot of his apartment complex when two men he knew to be MS-13 gang members approached him and began attacking him. The two gang members later identified as Cruz Gonzalez and Jose Roel Guevara Machado, drug the victim into the woods where they repeatedly struck him in the head and attempted to stab him in the chest with a machete-style bladed weapon. The victim suffered multiple stab wounds to his head, neck and hands. The victim also lost a finger in the attack and suffered permanent scarring to his face, ear, head, neck and hands. A third co-defendant, Jose Israel Alvarenga had ordered Cruz Gonzalez and Guevara Machado to kill the victim because he refused to join the MS-13 gang, according to prosecutors. Cruz Gonzalez pleaded guilty to the charges on July 22. He received an additional ten years of suspended time. Upon his release, he will be placed on five years of supervised probation. Cruz Gonzalez, a native of El Salvador, is also being held pursuant to a Federal Immigration Detainer, which directs his deportation from the United States upon his release. Guevara Machado, 21, pleaded guilty to malicious wounding and gang participation on July 25. He is scheduled to be sentenced in Loudoun County Circuit Court on Jan. 5 and faces up to 30 years in prison. Alvarenga, 19, pleaded guilty to one count of gang participation, one count of malicious wounding and one count of felony obstruction of justice on Aug. 4. He is scheduled to be sentenced in Loudoun County Circuit Court on Nov. 10 and faces up to 40 years in prison. Am I reading this correctly that this guy is an illegal alien and was residing in Leesburg? The report includes no detail about whether Gonzalez immigrated legally. What it does include is the detail that the federal government issued an immigration detainer—a non-binding request that law enforcement hold someone because that person may be deportable. The government can deport an immigrant who committed a serious crime—whether or not the immigrant immigrated legally. Charlie – he was previously reported, possibly on WaPo, as an illegal alien and the fact the detainer was issued means zero in your liberal world as it actually has to be enforced, and under the likes of Obama, Clinton, McAuliffe, You, Kelly Burk, etc., this man who was actually considered the local “gang leader” making a “statement”, will walk out of prison in a few years probably to terrorize Leesburg and the extended area again. Any non-liberal (i.e.. the opposite of you, Kelly Burk, Chief Brown, Evan MacBeth, Ron Campbell, Gwen Pangle, Kristen Umstattd, etc.) have known about our big “problem” for nearly two decades. The DC crews were slowly forced out of the Olaza Street extended area and the Latino gangs evolved over time with the MS-13 dominating Leesburg. Kelly Burk, Evan MacBeth and folks like this pander to the Latinos, especially where thus guy rolled, but they don’t truly help the folks, legal or not, as every time you see an article for a kid disappearing, it is either someone abducted then killed or a young teenage girl forced into a long weekend of prostitution, which the Politicians and Police don’t want to acknockledge (nor the known brothels, drug dealing and other illegal activities). The people, legal or not, of that community are being extorted (taxed) regularly by gang members as I have spoken to many, many people and they can’t do anything (such as go to the police) as their lives and families are in danger. Charlie – as you like to spout other statistics regularly, we have had recent minimal home increases in Leesburg (1,000) yet assisted popultion increases (10,000), which equates to a surge in the Latino population and more per capital in homes and families. The gangs have seized upon this, and like in Sterling, have infiltrated many of our local schools to the point where one kid was recently murdered, which is only going to get worse regardless if Leesburg has a dedicated Police Office at High School level as the indoctrination is actually starting well before then. 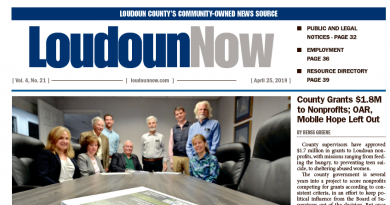 You would think in an election year Leesburg’s growing gang problem would have been a top political topic. But, no. Let’s talk about downtown beautification (again) and ignore the fact that the problem exists and is growing. Also, the author should be more clear and state whether in fact the criminal is an illegal alien, legal alien, or immigrant.